La escuelita ya comenzó! The Art School Without Walls is (Un)Officially Open. A Mural Workshop with Sofia Maldonado. 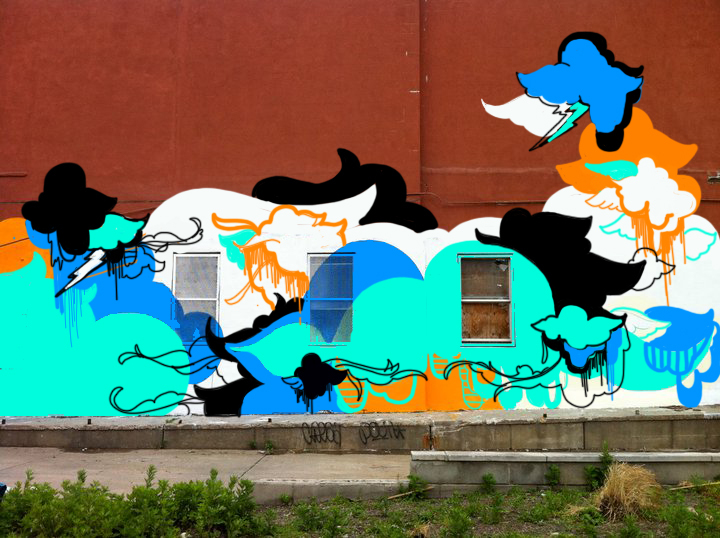 Acclaimed muralist Sofia Maldonado is leading the cre8tive YouTH*ink team of teen artists from Los Galeristas Adolescentes to design and produce the new and original large-scale mural pictured below. Please help us to fund this project through Kickstarter. You too, can be a patron of the arts – even for a just a buck! The amount isn’t as important as you taking the time to do it. Over funding of this project will increase the stipend that Los Galeristas Adolescentes receive for their participation in the production of this enduring work of art, so remember to fund this project generously! Posted in Gallery Club, Mista Oh! Next Entry From the City to the Stars: A Night of Stargazing at Brooklyn Bridge Park!